June was a lovely month of reading. I had wrapped up all of the required reading for grad school (like, as in ever, I'm done having people assign things to me) so I could read anything I wanted. I also could read some work by authors who were going to be visiting at my residency. As soon as I wrapped up the last essay I had to write for class, I emailed my professor, Tod, and asked him who would be good for me to read before I showed up in Palm Springs. That way I'd know which lectures to attend, and I'd have things to talk about in my sit-down meetings. Most of this list is that. So in effect, I gave myself a new required reading list. But the effect of having people recommend books to you who run MFA programs (and host podcasts about literature) is that those books are awesome. So you don't waste a lot of time. Early in Hector Tobar's novel, there's a tropical garden that becomes a symbol of tension for an already troubled upper-middle class married couple now facing financial uncertainty. The Torres-Thompsons' yard, previously tended daily by a gardener, has grown unruly in his absence. A visitor at their home stands, trying out a few lines of Hamlet ("'Tis an unweeded garden that grows to seed. Things rank and gross in nature possess it merely"), and inspires Maureen Thompson to spend a small fortune turning their former jungle into a desert landscape. Which inspires the marital conflict to come to a head. But though Tobar spends a lot of time with Maureen and Scott (her husband), they are driven apart early in the book, and the focus of the story really becomes Araceli: the couple's cook who has gotten saddled with additional responsibilities (including care of the couple's children) in the reshuffling that happened as the couple lost money and tried to maintain their lifestyle. Scott and Maureen move apart, and something accidental happens that necessitates Araceli setting out on a journey through LA with the couple's children. I love any book about a journey, probably because it has built-in momentum. Searching creates such great tension. But Araceli's journey story is unique because it represents a layering of that old archetype on something really interesting: contemporary Los Angeles. Tobar's career as a reporter serves him well, here. As a non-LA person, I could still feel these neighborhoods. Tobar renders them so vividly, and populates them with complex, sometimes difficult characters. Other things I liked about this book: it asks a lot of questions about how we perceive race and immigration issues, and the role the media plays in the prosecution of crimes. There are definite allusions here to Richard Wright's Native Son. I was reminded of the duality of that book: Bigger's constant awareness while he fled that his story was being told (and spun) by the media. There is a similar role the media plays for Araceli. I had the chance to sit down and talk to Mr. Tobar at my residency after hearing him lecture, and it was a real pleasure to geek out with him over some of the allusions in his book. He is currently writing the authorized biography of the Chilean miners, so look for that when it comes out, too. E and I both read this book (he borrowed it from me when we were in San Diego), and we both really enjoyed it. I highly recommend it. Remember how I used to not be into short stories? Well, I changed my mind. Jim Gavin's book is just the kind of short story collection I wish I'd been handed back when I was about 17, just to show me that stories about the ordinary, about people where they are can be fascinating. 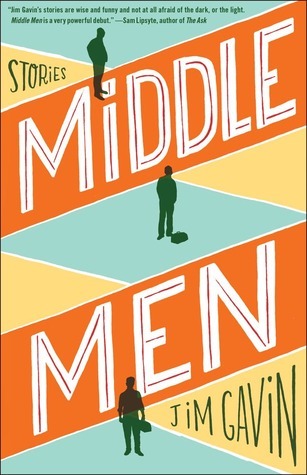 Gavin's collection opens with a story about a Catholic high school basketball team called Play the Man and ends with a the longer title piece, Middle Men, which is achingly sad. In between are stories of lost opportunity, people who have gotten really good at the one thing they're good at, and work. Lots and lots of work. I sat down with Jim Gavin, too, and he talked about this. About how often new writers will think they have to write "away" from themselves and their experience in order to be worthy. About how work is quite often really interesting. About how he eventually figured out that writing about the world he knew made such a difference. And about Dubliners. About how that's what he sees in Dubliners, and it's what he wants to create in his own writing. 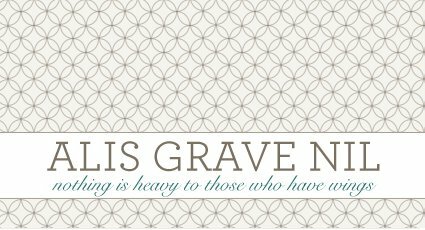 Gavin's writing is smooth and there's nothing quirky about his prose. But he's quite funny. Some of his jokes are story-long setups, lines that hearken back to things he mentions in the opening. I think it's a real strength of the collection that even though it's dark, he's able to bring moments of levity. It feels real. It feels like people. One summer at UC Davis I took a Literature of California class. Not because I really cared about the literature of California too much at that point (I didn't know enough about anything at 19 to care about anything--and the class turned out to be mostly creation myth and some Amy Tan) but because I was trying to finish my BA in 2.5 years, I was bingeing on units like Twinkies. Some good stuff happened despite my lack of enthusiasm for what I was taking. My professor (who I realize, now, was playing a little fast and loose with the definition of "California writer" but whatevs) had us read Raymond Chandler's The Big Sleep. That at least gives me the minimal context for noir and the P.I. story and all of the other detectives who came after Marlowe. 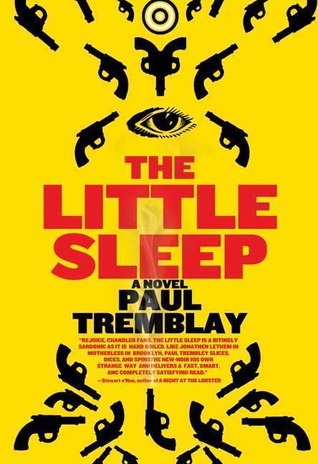 So when E asked me to pick an audio book for our drive to San Diego, I figured Paul Tremblay's The Little Sleep was a good one. I'd met Paul Tremblay at LATFOB (spoiler alert: he's great even though he's my polar opposite on the important topic of pickles), and also I thought The Little Sleep wouldn't be too girly for my husband. Plus, Tremblay is a fellow high school teacher. I need to help a brotha out and read his books. So anyway, this book! At times really funny, but also quite compelling. The Little Sleep is about a narcoleptic detective, Mark Genevich, who is both trying to solve a case and piece together bits of information he thinks he knows--some of which is in doubt because of his condition. Brilliant idea for a book. And I have to say, executed so well with a nod to its literary tradition, but just a fun read in its own right. It's Genevich, at the heart of this story, that makes it work so well. Of course the concept is wonderfully creative, but it's the complexity of his character that makes this feel like something fresh and alive rather than a goof, or a caricature, or a shadow of the P.I. story we've seen before. Genevich isn't the hard-boiled detective, even when he wants to be. He's complex and funny and acts against his own interests (sometimes even when he's unconscious). This is a character with his own pain, and physical deformity that keeps him isolated from the rest of the world. (We both really enjoyed this one as well, and I can recommend it as a "listen" as well as a read. Any kind of detective story is great for the car because it keeps you tuned in.) There were a lot of laughs, but I found myself really feeling for this character, too. Just a great read all around. Once again, I'm not going to make it all the way through all the June books. It took me so long to write HTML code/links for all seven today that I ran out of steam to finish writing words. Part II tomorrow. To be continued.